Having been a cannabis consumer for over 15 years, I’ve smoked a lot of greens over that time, but this may have been the most fun I’ve ever had on them. The day itself was absolutely beautiful, with perfect weather for the occasion. My wife and I arrived early, and had no idea we were about to experience some of the best bud in Colorado. Looking back, I can’t remember laughing that hard in a long time. It very well could have been the pre-rolls from Medicine Man, or maybe it was meeting former NFL athletes like Robert Griffith, Isaac Keys, and Eugene Monroe. Either way, we had the best time! The morning was sunny, bright, and the breakfast being served was delicious. After declining what looked like an amazing breakfast burrito, I sat eating pieces of pineapple, cantaloup, and berries with my wife on the patio of the Omni Interlocken Golf Club, overlooking the course. 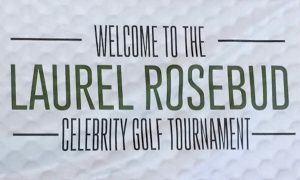 Despite our lack of knowledge in the sport of golf, we were volunteering at The Second Annual Laurel Rosebud Celebrity Golf Invitational, and we’re so happy we did. 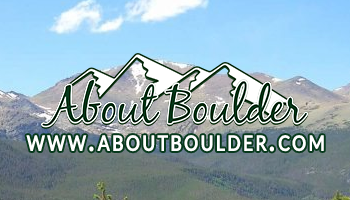 Proceeds raised went to Doctors for Cannabis Regulation and Students for Sensible Drug Policy. DCFR will be using the proceeds to study the use of cannabis when treating head injuries and concussions. Ultimately, the goal is to have the NFL re-evaluate their drug testing policy, specifically focusing on cannabis. Co-Host of the event, one of my favorite dispensaries Medicine Man, was in the giving spirit as they handed out bags full of the industry’s greatest swag at the registration table. Just before the shotgun start at 10:00am, everyone gathered for a speech, by host Elizabeth Nichols. She thanked everyone in attendance for choosing to give their time, and their donations, for such great causes. 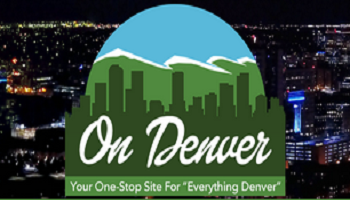 She reminded us all, even though cannabis is legal in Colorado, there is still much work needed to be done in the form of research and education before the public will officially declare cannabis as medicine, which is why this golf tournament is so important. While everyone spent the rest of the day swinging away at golf balls, I spent my time parked at Vista4, sponsored by Sensi Magazine, with professional long driver Josh Cassaday! With club head speeds well over 150 MPH, and a career longest drive of 448 yards, Josh is currently ranked 41 in the world! Players got to donate in exchange for letting Cassaday take their first swing for them. Not only did I get to watch him tee off all day, including witnessing high tee shots, and some custom tricks I’ve never seen before, he even took the time to give me a lesson. As I’ve said, this was some of the most fun I have ever had on the green! I want to thank Cassaday for taking the time to share his knowledge, and expertise, and thanks to his sponsors Krank, and Tenderbelly for helping support him. The golf tournament was followed by a dinner and awards banquet, with a silent and live auction. They had some outstanding auction items, including several autographed NFL jerseys, footballs and helmets. The auction was a lively time, and even though I was outbid on one of the Eugene Monroe signed helmets, and I really wanted that football signed by several athletes, and the big dog himself, Snoop, my wife and I did go home with a Pen Simple from the silent auction. We also took with us the satisfaction of being involved with so many terrific people, for such a needed cause. I want to end by thanking the primary sponsors Medicine Man, The Arcview Group, and The 420 Games, for helping support Doctors for Cannabis Regulation, and Students for Sensible Drug Policy. I also want to thank Elizabeth Nichols, and the Laurel Rosebud Foundation for putting everything together, and my sincerest appreciation goes out to everyone who attended. I always say, only together will we truly make a difference, and it warms my heart to see so many people connect to accomplish the same goal. Cannabis is medicine. Athletes, and everyone across the world, deserve to have access to it’s plentiful properties of health and wellness. I encourage each and every one you to do your part, in some way, to help make this happen. Although it helps, you don’t have to donate your money, or your time, just share this article on social media to start. Then share another, and another, and help spread proper cannabis education and ideas. You can make an impact, and your efforts will lead to change!